In pristine white, the car has disappeared against the snowscape – so convincingly so, in fact, that I worry for a moment whether or not I remembered to apply the handbrake. However, with a push of the fob and a flash of sharp orange light, the car reveals itself through the snow from some way down the narrow single track. These are the backroads that stitch together the border between Shropshire and Powys – tracks so winding I can’t be sure if I’m in England or Wales. 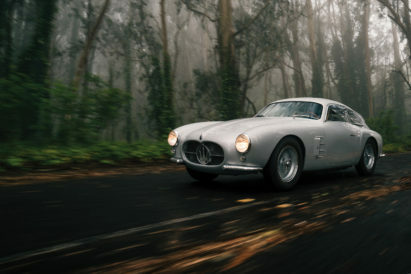 I can, however, identify the car. 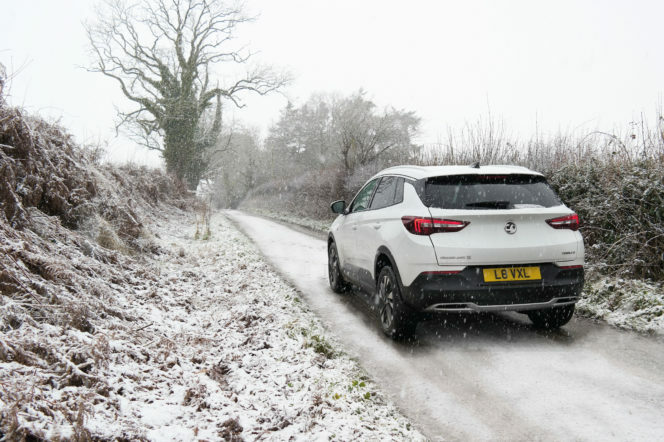 Up on its haunches, and poised to shrug off a generous dusting of snow, this is Vauxhall’s latest luxury SUV: The Grandland X. Unveiled during last year’s Frankfurt Motor Show, the Grandland X is the latest in Vauxhall’s crossover SUV family, following on from the Crossland X and Mokka X. It’s easily the most attractive of the three – styled with the brand’s latest look up front, and allowing these slick lines to flow along the body. It’s a handsome looking car – with this styling only accentuated by the icy white finish. And, challenged with taking a roadtrip in the new car to see if could make our lives a little more grand, Gentleman’s Journal took the chance to take a break from the city for weekend. Some of the finer lines of design, however, are lost against the snow – better picked out by the street lights of London, where I picked up the car two nights ago. At once compact and capable, this is an SUV ideal for weekend escapes. So, when Friday rolled around and the Grandland X rolled up to the Gentleman’s Journal offices, I was itching to take it beyond the city limits to the winter wilds of the country. It proved to be a grand escape indeed. Easier said than done. 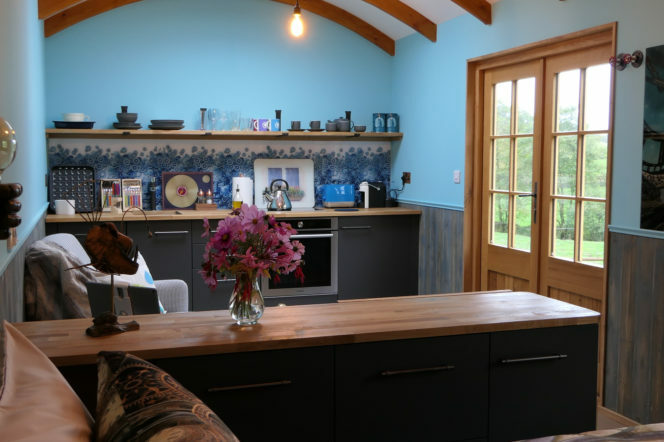 A Friday night escape from the city is no mean feat, but the hour it took to crawl free from the M25 gave ample time for a once-over of the cabin. As roomy as you’d expect from one of Vauxhall’s larger models, this feels considerably more spacious than the Antara – the crossover model replaced with the Grandland X. As the name suggests, everything’s a little grander: Optional extras are all-in here, and the sheer number of buttons call to mind a flight deck. But it’s still not overwhelming, even on the initial drive. 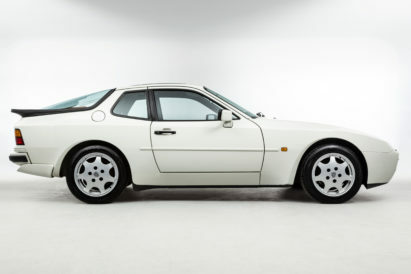 "It’s a handsome looking car - with this styling only accentuated by the icy white finish..."
The connectivity, too, is unrivalled in many other models of this size. A 4G Wi-Fi hotspot is a welcome addition, and wireless charging is a very handy option – especially when travel has you this delayed. Apple CarPlay and your usual Bluetooth are also at play and, whether you’re listening to podcasts or playlists, the 8-speaker Denon system is genuinely impressive – an optional extra worth laying down the extra to opt into. Shropshire, the destination slowly approaching, sits at the extreme end of achievable weekend breaks from London. It’s a four-hour drive, once you factor in traffic at one end and the tangle of single-track rural roads at the other. But the Grandland X dealt with both admirably. It’s a skill to create a car that doesn’t feel cumbersome on city roads or country trails, but can also hunker down on motorways and deliver a smooth, safe drive. And so, after hours enjoying the cabin of the car, and navigating the wild roads of Shropshire, I pulled the Grandland X up to another cabin. Aether’s Tilt, a rustic shepherd’s hut nestled in a small valley, is the sort of escape you dream of at your desk during the week. Clad in elm and oak, it is hand-built with clear affection, and a level of attention to detail also evident in the Grandland X. The cabin also looks out across miles of Shropshire. At once secluded and open, the next morning – over a plate of bacon and eggs – the cabin’s prime location revealed itself in the morning light. Amidst snow dusted hills, and underlined by a small river, this rustic retreat is ideal for a well-earned break, and is just one of the many cabins, yurts and treehousers offered for booking throughout Britain by luxury escape company Canopy & Stars. After clearing the windscreen of snow, and making use of the cabin’s coffee machine, snowy adventures lay ahead. The day called for exploration, and the on-board sat nav system negotiated the sinuous roads with ease – up the valleys, and down the icy tracks past castles and ruins and into small Welsh villages. 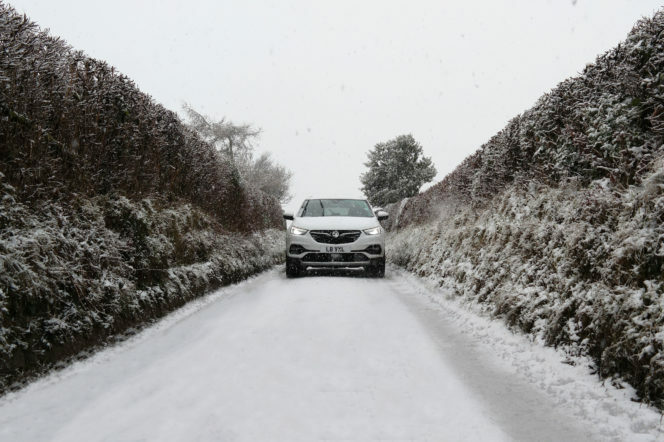 The snow, although unexpected, was taken in the car’s stride, and small design and engineering quirks were highlighted, pushed to the fore in these colder conditions. The heated seats shone out, the hands-free power tailgate came in handy, and a heated steering wheel was as cosy an addition as Aether’s Tilt’s wood-fired outdoor hot tub. The boot space itself is also expectedly large. Perfect for short breaks such as this, but capable of carrying luggage for long, sweeping roadtrips, the Grandland X is a car for all seasons – especially winter. And, as I turned the 18-inch alloys back towards London – stopping at the quaint The Bell at Alderminster for their award-winning Sunday Roast on the way – the car settled back into motorway life, eight gritted lanes welcome after the frosty single tracks of the weekend. Raised up from the road, and with one of the smoothest rides offered by a crossover SUV, the Grandland X is bold and has a confidence that carries you to your destination in style and comfort. It’s an elevated feeling, where your experience is firmly in the driving seat, and the grandeur of the Grandland leaves you feeling elated after you finally park up. Even back in the city, this doesn’t feel like an off-roader unearthed in London. It feels like a city car, shifting back into urban gear from its weekend run to the quaint cabin in the country. 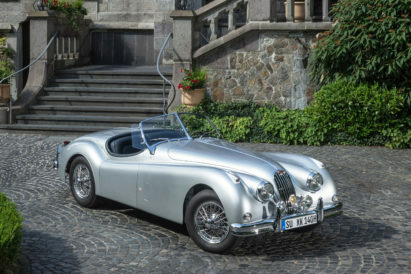 If ‘grand’ wasn’t the car’s obvious buzzword, then versatility surely would be. It offers prospective owners the excitement and stability to careen down high-hedged, snow-driven lanes, but still remain reliable and suitably sophisticated when you’re eventually beckoned back home to the bright lights of reality. 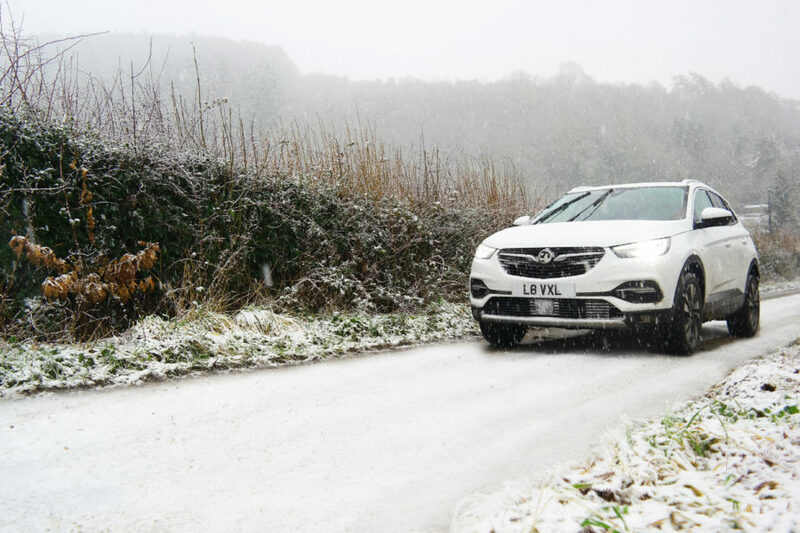 To learn more about Vauxhall’s Grandland X – for which prices start from £22,485 – click here. To enquire about availability at Aether’s Tilt, or other Canopy and Stars properties, click here.